Services for Properties that aid in Maintaining a Safer, More Attractive Parking Facility. 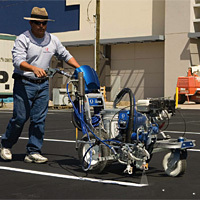 Specializing in Parking Lot Striping — Xpress Pavement Painting has over 25 years experience in the striping field. We have striped everything from city streets, shopping malls, schools, churches and inside factories. 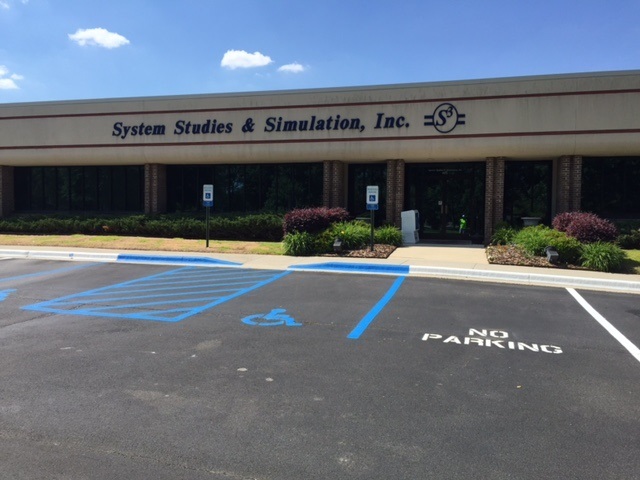 Our services include line striping, pot hole repair, handi cap sign, speed bump and wheel stops installation. Free estimate, reasonable prices, insured, fast quality service and experienced. No Job to small or too large, we would love to do them ALL. WAAY TV, Gibson BBQ Pkwy, Horizon Elementary School, Little Rose's Mexican Tequeria, Intergraph, Extreme Car Wash, Dr. Gray W. Hudson, Alabama Pediatric Dental, Mattress Firm, Dr. Fennell DMD, Gateway Place Apt, Allstate Jordan Lane, Strata G Inc, Autumn Place Apt etc. Copyright 2012 Xpress Pavement Painting. All rights reserved.